Crystal Exchange America is a professional brokerage service dedicated to helping Swarovski collectors safely buy and sell Swarovski Crystal figurines. We are reputable, knowledgeable, and have a world-wide customer base with thousands of satisfied customers. We hope you will continue your tour of our site if you are want more information about safely listing, buying, and selling retired and limited edition Swarovski Crystal! 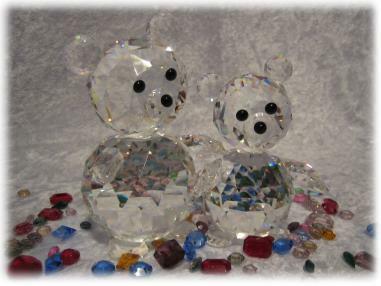 We look forward to assisting Swarovski crystal fanatics in buying or selling Swarovski collectibles and collections. Welcome to Crystal Exchange America, your online source for the finest retired Swarovski crystal! We are an experienced and professional online brokerage specializing in helping true collectors find the Swarovski collectibles they need to complete their collections. In addition to our extensive knowledge of the Swarovski secondary market, we're able to inspect every item bought and sold on our site to guarantee that all product descriptions and claims are accurate. The confidence you get from shopping with CrystalExchange.com is just one of the reasons why we're serving collectors better than the major online auction sites; our fixed pricing system also allows us to sell discount Swarovski crystal pieces. At auction, you can typically expect to overpay for each purchase! Start exploring our site for more articles and details about how Crystal Exchange America is helping the Swarovski community to buy and sell in a better way!